It's the most wonderful time of the year, filled with family, friends, food, and presents. It's been an exciting year in the world of tech, and we've been busy testing out a ton of great products. 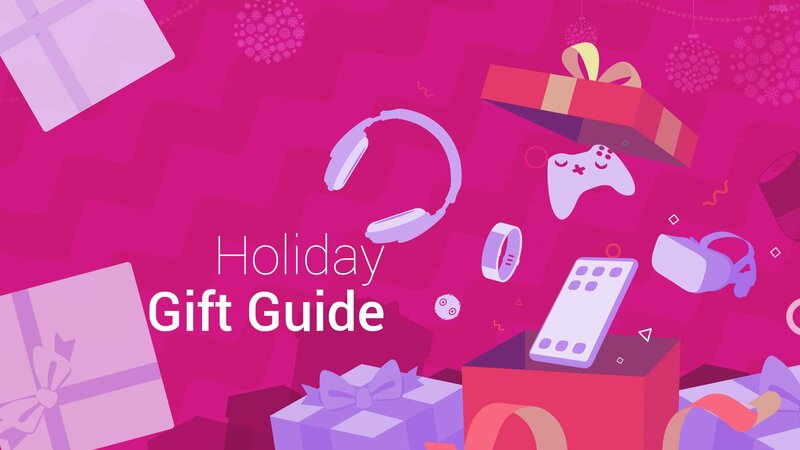 We've separated the good from the bad and rounded up the former here to help you find perfect gifts for everyone on your list! The perfect portable 2-in-1 device is here for anyone who's constantly on the move. A high-res touch display, premium build, and all-day battery life are just some of the highlights of the 10-inch Surface Go, and it's now available with built-in LTE support. For anyone who needs a good bit of power from their 2-in-1 device, there is the Surface Pro 6. It has a beautiful touch display compatible with Surface Pen, it sports 8th Gen Intel Core processors, plenty of RAM, solid-state drive storage options, and it has all-day battery life. Get it in classic silver or new black color finish. The Surface Pro 6 is a great device, but many people feel it should come with the option to run on ARM processors. Samsung has filled that gap with the Galaxy Book2, a 2-in-1 with a Qualcomm SDM850 processor, 12-inch touch display, and premium build. Oh, yeah, it also has unreal battery life and LTE connectivity. HP's Spectre Folio eschews the standard aluminum chassis of a lot of 2-in-1 devices for a 100-percent real leather folio design that is perfect for a professional setting. Not only does it look good, it also has 8th Gen Intel processors, outstanding battery life, and LTE connectivity. One of the latest additions to the Yoga lineup is the C930, a convertible laptop with premium aluminum design, Thunderbolt 3 ports, stunning 4K touch display, and unique soundbar hinge that's a perfect addition for anyone who consumes a lot of media on their laptop. Great battery life and performance hardware round out this device. The original Samsung Odyssey Windows Mixed Reality headset was already the best of the bunch, but the Odyssey+ has taken it a step further. You get a more comfortable build, and the display has a much clearer image without screen-door effect. Best part? You can still enjoy all the same games and experiences. It's difficult to not fall in love with your laptop, and in that case, you might be interested in some extra flair. These skins from DecalGirl are available in plenty of different designs and colors, and once applied, they offer stylish scratch protection for a low cost. This is a perfect gift for anyone who owns a Surface device. Most laptops these days come in a few set colors, but that doesn't mean they have to stay that way. Toast makes a ton of wood covers ― even custom jobs ― that stick to the outside of your laptop to give it a premium look. With etching and engraving options, there's the opportunity to let your favorite person know how much you love them with a personalized message. All the tech gear gifted this year is going to need a quality bag. The Everyday Messenger from Peak Design is one of the best out there, thanks to a high-quality build, a ton of pockets and space, and a magnetic clasp that keeps things sealed up tight. Equal parts function and fashion, this is the bag for pretty much anyone with lots of stuff to tote around. Canvas bags with leather accents are all the rage these days, so I had to include the ultra-modern and super hip UGRACE slim laptop rucksack. It'll fit laptops up to 15.6 inches in size, plus it has a ton of extra pockets and sleeves for all of your stuff. Not sold on the green? There are five other colors to choose from. Waterfield products are handmade in San Francisco, resulting in a premium build that truly lasts. The Staad Attaché is designed as a meeting point between messenger and briefcase, offering padded compartments for tablet and laptop, as well as multiple smaller pockets for accessories. Made from a mix of premium leather, waxed canvas, and ballistic nylon, this bag can keep up with a professional lifestyle. Tired of spotty Wi-Fi connectivity in your home? Can't reach a signal to the far corners of your basement or top floor? Investing in a mesh Wi-Fi system like Ubiquiti's AmpliFi HD makes a lot of sense. Start with a router and add Meshpoints as needed, and take advantage of fast internet on all your devices. Available in three different finishes to best match a home's decor, Nixplay's Iris digital photo frame offers an easy setup with Wi-Fi management thereafter. The 8-inch display is bright and clear, and the power cable doubles as a smart stand that works in either landscape or portrait orientation. Love Surface and need some accessories to match? Surface Headphones just happen to fit the bill, offering excellent sound quality, comfortable around-ear padding, noise cancellation, and a sharp design that matches your other Surface gear. Anker's Slim+ line of Bluetooth SoundBuds check all the right boxes. They're lightweight, the battery lasts up to seven hours, the cable between the two buds has an inline remote, and, most importantly, they deliver impressive sound. If you want to give the gift of quality music without spending a mint, these headphones are a great choice. Share the gift of music with this portable, waterproof speaker that will easily fill a room with tunes. It will blow you away with its 90 decibels of 360-degree sound. Expect up to 15 hours of battery life on a single charge, and it'll stay in mobile range up to 100 feet away. Love streaming ad-free music? Grab a Spotify Premium subscription and listen to music on all your devices. From specific songs to curated playlists to radio stations, you'll find your favorites here. This is the perfect add-on gift for anyone who can't get enough music. If you know someone who has a tough time staying organized (or just really likes an assistant), there is the Amazon Echo. Alexa, the voice-controlled assistant within, responds to voice commands to deliver music, news, and weather, and can even be used to set appointments or order more groceries. Connect to other smart devices to sew together an automated home. True 4K gaming from a console is here in the form of the Xbox One X. Featuring 40 percent more power than other modern consoles, you're getting an incredible gaming experience at a relatively affordable price. Take advantage of Xbox One X Enhanced games to get the best optimization, and stream your fun in glorious 4K/60FPS. The Xbox Elite Wireless Controller grants unprecedented control over your game, adding ridiculous amounts of additional configuration and customization options. It's a must-buy for Xbox gamers looking to get a leg up on the competition, and it's now available in white. The sequel to Red Dead Redemption is a runaway hit thanks to an enormous, immersive world, gorgeous graphics, and an enthralling story. If you know someone who aspires to be a badass wrangler, this will make a great gift. DICE and EA take us back to World War II with Battlefield V, the latest first-person shooter in the series. Featuring single-player war stories, intense multiplayer skirmishes, and an upcoming battle-royale mode, this is sure to be a game near the top of most people's lists. The Xbox One makes a great media streaming centerpiece, but it's annoying wearing your Xbox controller's batteries down while watching a TV show or movie. This media remote from PDP is a perfect solution to the problem, and its low price makes it quite popular. Without an Xbox Live Gold subscription, you won't be able to get access to the best online multiplayer, a bunch of discounts in the store, and free bonuses each month. Grab a month for $10, or splurge for an entire year for $60. This is the perfect add-on gift for any gamers obsessed with Xbox. Instead of buying each game separately, the Xbox Game Pass lets you play more than a hundred Xbox, Xbox 360, and Xbox One games for one monthly price. If you're looking for a gift for a gaming fanatic, this one will be difficult to wear out. If you want quality sound and design in a headset that's relatively affordable, Turtle Beach's Elite Atlas headset should be considered. It's compatible with PC and Xbox One, it's comfortable to wear for long periods of time, and audio quality is at the forefront of what's being offered from gaming headphones. 4K HDR TVs can reach into the thousands of dollars, which isn't always a suitable price point for a gift. Luckily, TCL makes some quality budget options that keep the price relatively affordable. This 55-inch TV has LED backlighting, plenty of inputs, and has almost no bezel. If you know someone who's sick of paying for cable, the ClearStream 2Max antenna can help. It's an affordable option that pulls in free signals within about a 60 mile range, it's simple to install, and it's one of the best looking antennas out there. 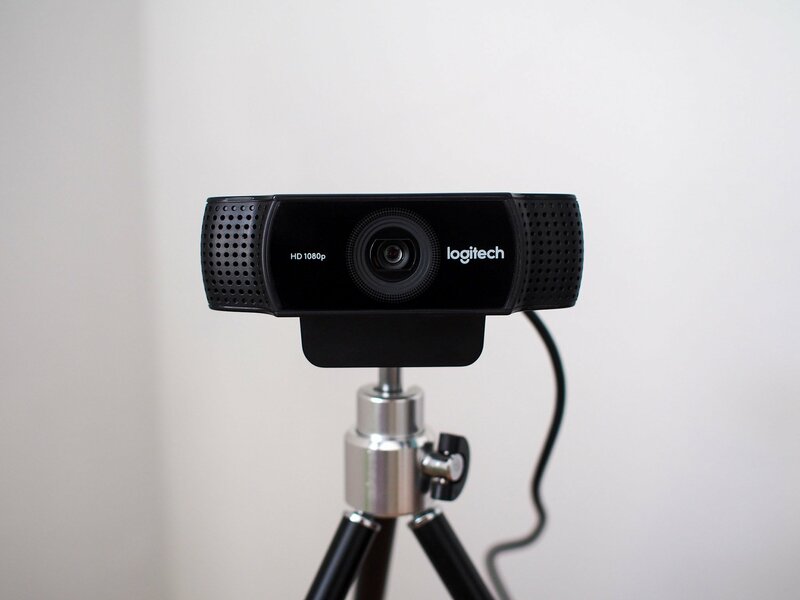 The Logitech C922x lets you record video and enjoy Skype calls in 1080p, and it has some impressive features, including a virtual green screen, for anyone who streams video. If you don't see your loved ones enough between the holiday seasons, this is an ideal gift. Logitech's MX Master 2S is a beast of a wireless mouse, sporting great functionality and some advanced features. It is accurate enough for both gaming and productivity, and it is designed to easily switch between wireless-capable devices. Don't worry about dead batteries — get up to 70 days of power from a single charge. Razer knows how to make quality mice, and the wireless Atheris is no different. It has a high DPI, an affordable price, and comfortable, compact design that can easily fit into your laptop bag. For anyone who travels, this is an awesome mouse. With a 144 Hz refresh rate, 1 ms response time, FreeSync compatibility, and excellent color reproduction, you might think this monitor costs a lot more than it does. If you have an avid PC gamer on your list — especially one who uses AMD graphics cards — this monitor will make a great gift. Dell's UltraSharp line of monitors is always impressive, with limited bezel, crisp picture, and smart stand. Here you get a 2,560 x 1,440 resolution, near-perfect color reproduction, and a slim build that won't take up much space on your desk. With three different mechanical switches available, brilliant RGB lighting, and a memory foam palm rest, Logitech's G513 gaming keyboard is perfect for just about any PC gamer. It has a premium build that doesn't waste space, focusing on excellent performance across the board. Who isn't addicted to video streaming these days? Amazon's Fire TV Stick allows them to watch all their favorite shows and movies from popular services like Netflix, Hulu, HBO Now, Amazon Video, and more. With Amazon Alexa support built-in, all it takes is a simple voice command to start watching. Laptops make great gifts, but so do accessories. Anyone with a laptop using a Thunderbolt 3 port who wants to set up a workstation can benefit from this dock, offering up 15 extra ports, 85 W charging, and strong performance, all enclosed in a durable aluminum case. Laptops provide a portable computing solution, but sometimes you need to sit down at a real battlestation and get things done with a full-size keyboard, external mouse, and multiple monitors. In that case, this laptop docking station from Plugable can make life easy for anyone with a laptop using USB-A ports. The best wearable around right now is the Fitbit Versa, thanks to a small and light build, 300 x 300 resolution touch display, water resistance, heart-rate tracking sensor, and GPS. It'll also store up to 300 of your favorite songs or stream from Pandora or Deezer, and there are countless watchbands to choose from to match your style. The Fitbit Charge 2 is no slouch either, especially for anyone who prefers not to run with the boxy shape that the Versa uses. There's no waterproofing, but you're still getting everything expected from a fitness tracker, including heart-rate monitor, step counter, calorie counter, and sleep quality monitor. Like the Versa, there are plenty of third-party bands available. 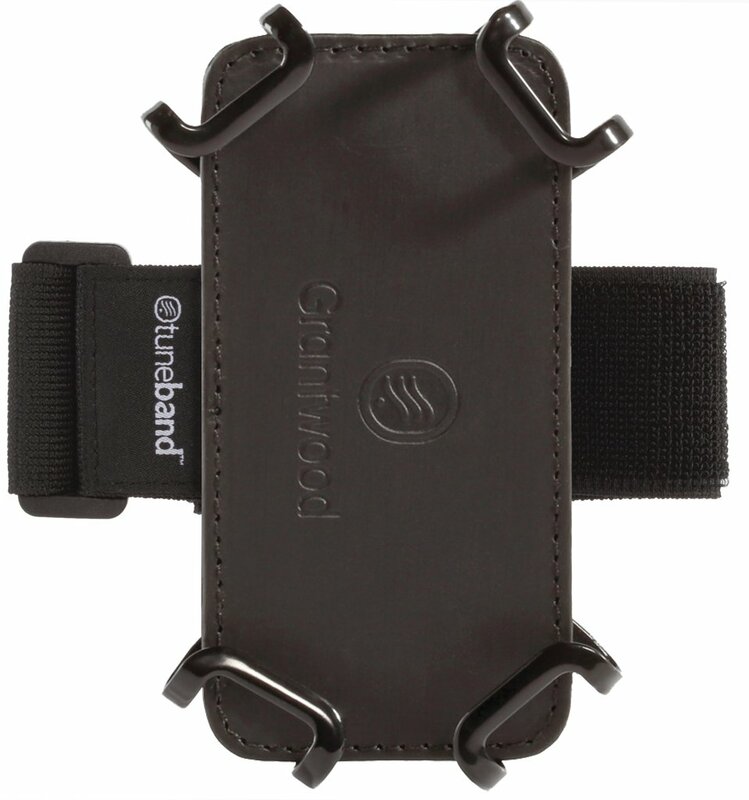 This fitness armband fits any phone from 5 inches to 6.5 inches in size thanks to its clever clip system, and you can even keep the case on the phone for maximum protection while working out. For anyone who likes to stay active, this is the perfect accessory. The Jaybird X3 Sport wireless headphones deliver great sound quality with a battery that lasts up to eight hours. Both sweatproof earpieces are tethered together, and you get a three-button remote for control over your music.